Fujifilm | Ojo De Piedra – Eye of Stone. Looking back at my Nature images from 2016. Photographing Nature is some of the most rewarding experiences for me. Throughout the year I make a lot of images, some I like, some not so much, some have a special place in my eyes and in my heart. I like to share with you a selection of some of the ones that have that special place. This entry was posted in Nature, Photography and tagged Art, B&W, color, Details, Flora, Fujifilm, FujiXseries, Insects, Landscape, Life, Looking back, Macro, Nature, Nightsky, Nikon, skies, Stars, Trees, Year in review on December 30, 2016 by Eduardo Mendoza. Habiendo usado la XT10 de Fujifilm con su lente “de kit” el 18-55mm -un lente con una calidad mucho mejor que esos lentes de kit a los que nos tienen acostumbrados las otras marcas- por ya varios meses, definitivamente sigo asombrado por la calidad de imagen que entrega la combinación del sensor X-Trans y la óptica de Fuji. Sin embargo, una de las razones principales para adquirir una cámara de la serie X de lentes intercambiables, habiendo disfrutado mucho de hacer fotos con la X100S es poder utilizar algunas de mis excelentes ópticas de Nikon en combinación con la calidad de imagen y las simulaciones de película que me da la Fuji. El mundo de los pequeños detalles, sobre todo los que esconde la naturaleza siempre me inspira para hacer fotos y los lentes para macrofotografía son de mis favoritos para documentar un insecto, o crear imágenes que rayan en lo abstracto a partir de vegetación. Una pequeña joya desde que lo adquirí es mi Micro-Nikkor 55mm F2.8 AIS, y siendo de mis lentes favoritos y que mas uso ha tenido en mi Nikon D200 es el primero que deseaba usar en combinación con la XT10 y el adaptador de Fotodiox. La combinación es excelente, el tamaño y peso reducido del Nikkor lo hace un excelente compañero de la XT10 y en conjunto con el adaptador el kit resultante es muy ligero y compacto, perfecto para una buena jornada de varias horas de hacer fotos. Ya me he pasado un buen tiempo en 2 jardines botánicos de la Ciudad de México con mi kit macro Fuji-Nikkor, ademas de recorridos por la Sierra Gorda de Querétaro donde los sujetos para el macro son muy variados, y en algunas locaciones mas con excelentes resultados de los que la mayoría dejaré para próximas entradas al blog, aquí les quiero compartir una corta selección de las imágenes que he logrado desde el inicio y hasta días recientes. Realmente puedo decir que estoy muy contento con este kit, práctico y versátil, cómodo de usar por varias horas sin sentirse fatigado y las imágenes, sea en archivo Raw o los Jpg’s directos con las simulaciones de película, sobre todo el rendimiento del Velvia, tienen un toque especial que es muy de mi agrado. Si bien no se cuenta con autoenfoque, en la macrofotografía es algo que normalmente no es muy útil, y con las asistencias para el enfoque manual de la cámara se facilita mucho lograr el foco donde se requiere. Usar el Micro_Nikkor 55 es de por sí una delicia, con ese nivel de calidad de construcción ya más que reconocido por muchos fotógrafos y ese toque suave del anillo de enfoque que he disfrutado por años con mis cámaras Nikon DSLR, y que ahora soy afortunado de combinar con mi Fuji. Espero disfruten la galería. This entry was posted in Fotografía, Macrofotografia and tagged Details, featured, Fotodiox, Fujifilm, FujiXseries, Lens adapters, Macrophotography, Micro-Nikkor 55mm f/2.8, Nature, XT10 on August 13, 2016 by Eduardo Mendoza. Well, I’m live again on the blog. For some strange reasons I’m still struggling with making a habit of posting at least two times a week, perhaps it’s the loads of things to do, the loads of images made and in need to be organised and processed, or just a lack of connection with my thoughts and ideas. The last time I posted the last days of winter were giving way for springtime, now Summer is about to come, plants are in full bloom and fruit is hanging from trees. Here at home there is a papaya tree that gifts us the sweet flavour of its fruit, likewise I share this image with you readers as a present for being away so many weeks. This entry was posted in Life, Photography and tagged Colorful, Fujifilm, FujiXseries, Life, Photography, XT10 on June 7, 2016 by Eduardo Mendoza. The trees, many creatures of nature, and especially myself, are ready for warmer, sunnier days. I got this image the other day when I was shaking some of the winter from my body, and after a whole week I got locked inside the house for a bad cold that kept me away from exercising. As is often the case, I had the Fuji X100S with me. This entry was posted in Life, Photography and tagged Fujifilm, Nature, Seasons, Winter, X100S on February 5, 2016 by Eduardo Mendoza. There are some days that office tasks just keep me away from the things that give joy to life. This entry was posted in Life, Photography and tagged duty, Fujifilm, Joy, office, reading, Tasks, The Hobbit, Tolkien, X100S on December 7, 2015 by Eduardo Mendoza. Waiting camera in hand for moments to happen I sometimes get images like this one. Made with my Fujifilm X100S back in september 2014. 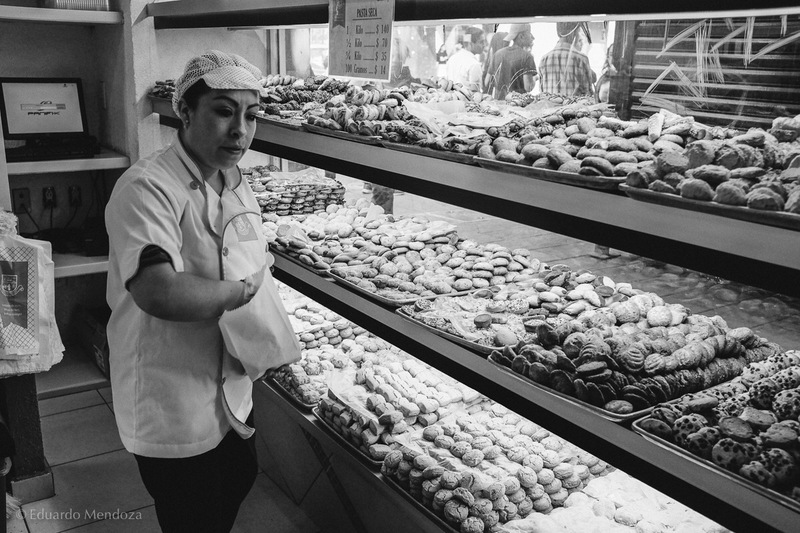 This entry was posted in Photography and tagged Anonimous, Arrow, Black&White, Fujifilm, Mexico City, Moments, People, Street photography, Window, X100S on December 4, 2015 by Eduardo Mendoza. I can breathe it. Christmas is in the air. This entry was posted in Life, Photography and tagged Christmas, Closeup, Flowers, Fujifilm, Nochebuena, VSCO Film, X100S on December 2, 2015 by Eduardo Mendoza. El penúltimo mes del año se va ya, atrás han quedado las calaveras, las calacas, las ofrendas colmadas del amarillo-naranja aroma a zempasúchil, el papel picado, las cazuelas con mole y los tamales, los caballitos con tequila y mezcal y las ánimas invitadas al festín de cada año. Noviembre llega hoy a su fin, y sólo quedarán 31 días para disfrutar o sufrir éste año, para pensar en cenas y regalos, para andar a toda prisa, para cerrar viejos ciclos y plantear los nuevos. Hoy empieza a marchitarse el 2015, pero los años, como las flores, mueren también para fertilizar la vida de lo que está por nacer. This entry was posted in Life, Photography and tagged Flores, Fujifilm, november, Noviembre, Ofrendas, Still life, X100S, Zempasúchil on November 30, 2015 by Eduardo Mendoza. 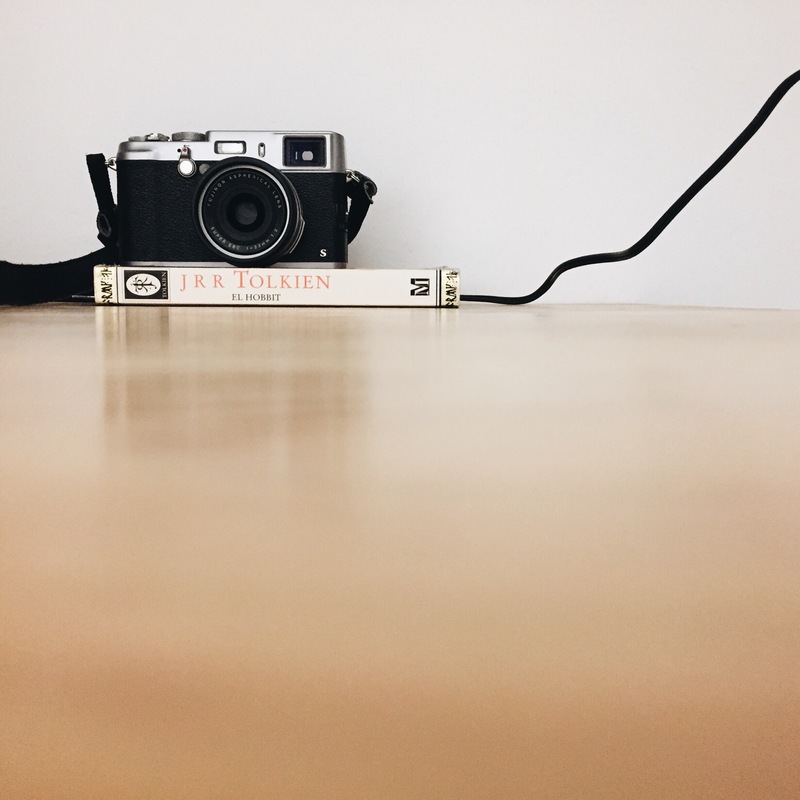 Catching life’s details with the Fuji X100S. In the areas close to home there are still open spaces that allow life flourish free most of the year. A small park and the surroundings of a basketball field benefit of the proximity of a large property that has only a house isolated in it and a school that has also its backyard left unconstructed. I go there often mostly in the mornings when I don’t go to run and ride my bicycle some other place because I don’t have enough time, or I feel more like being where I can be alone or almost alone since just a few people use to go there early. Grass grows tall and some kinds of wildflowers flourish in these areas too, allowing bugs, spiders, grasshoppers and even bees and butterflies feed, enjoy the sun and the wind, mate and take shelter at night or when the weather gets rough. Many times I go there to stretch and meditate, and I bring a camera along and enjoy my time there contemplating the morning light from that high terrain in the hill, also appreciating and photographing the beautiful sights of the small details and creatures. Luckily my Fuji X100S allows me to get as close as 10cm from this kind of scenes so without hauling specific closeup or macro gear I’ve had the chance to make several images there playing with the light, the shapes and textures, in colour or black and white. The morning of this image the grass was especially high after most of the summer and I watched these winged creatures being lit by a spot of sunlight, I did my best getting closer among the grass without spoiling them and shot a few frames. I think the best one is this with nice lighting, colour contrast and the out of focus areas that the X100S lens renders so well, something I surely love! This entry was posted in Backyard, Photography and tagged Bugs, Closeup, creatures, Details, Fujifilm, FujiXseries, Grass, Nature on November 29, 2015 by Eduardo Mendoza.